Yes furiends, many of you were right most of the problems with a modern diesel engine is fuel contamination or the engine being starved of fuel. Diesel bug is the boating name given to the organisms that form slimes in diesel fuels. It’s a microbe caused by water content in the diesel, the bugs grow between the layer of fuel and water. 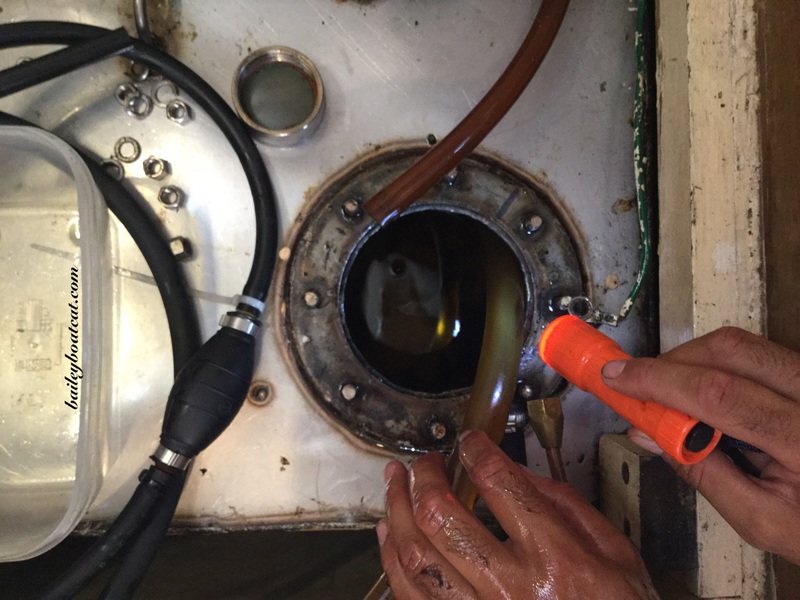 The contamination of our fuel system completely blocked our fuel lines solid before it even got to the filters. A quick look after the engine stopped meant it was obvious we needed more time to calmly look at the system, making it necessary to find somewhere safe to anchor. That’s when Nippy came to the rescue and towed us into the bay. Once I’d diagnosed that we had diesel bug, it became clear that we needed to return to a marina in order to sort it out. My human cleverly devised a temporary solution enabling us to get good, clean fuel to the engine so we could motor back to the marina under our own steam. (We could have done it with Nippy if it had been necessary.) I’ll tell you all about how we solved the problem next week. I hope you all have a wonderful Caturday! « The engine stopped- Nippy towed Nocturne like a hero! Bisous to you, too, Bailey and good luck with your fuel. U know, diesel might not do your paws much good! Back in the late sixties, a similar problem afflicted the Air Force supplies of jet fuel in southeast asia. It was a serious problem. There are a number of biocides that can be added to fuel to prevent this. You are so smart to have figured out what was wrong with Noccy. Keep your humans working on the problem and don’t forget to get in a few naps. Supervising is very hard work!! well done for finding it remember the filter separator i had lifting fuel from the middle of the tank. as a quick fix use a pump to pass all the fuel through a set of tight then biocide. there is always a day tank option good luck . 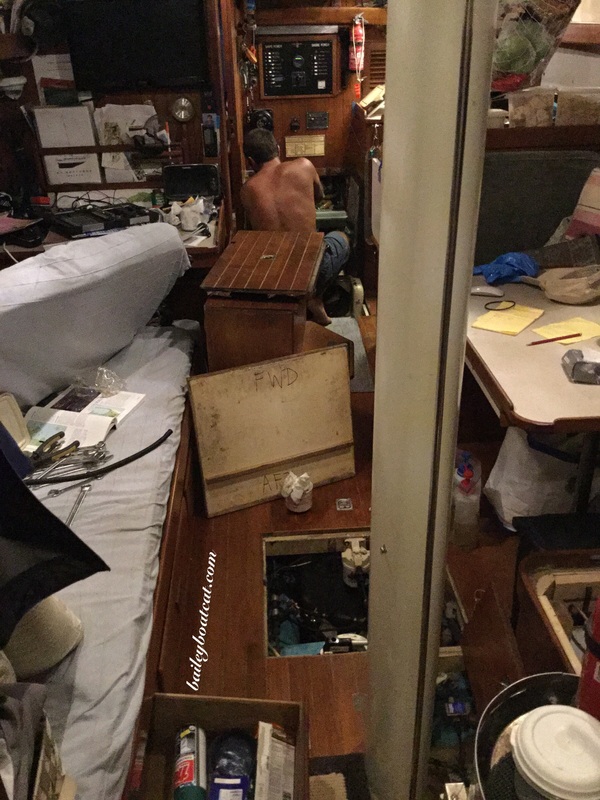 So much to know and do when you live on a boat! I am sure you are a big help! 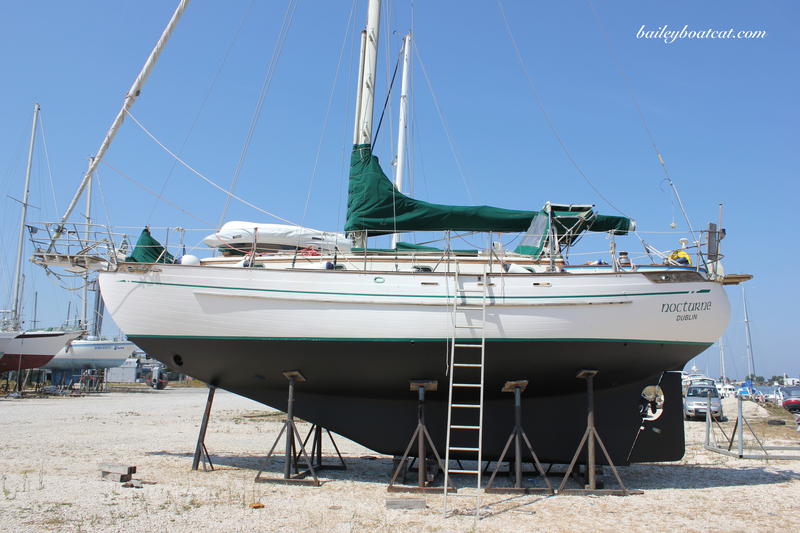 Whether you live on a sailing vessel or a house….it’s always something. Always. 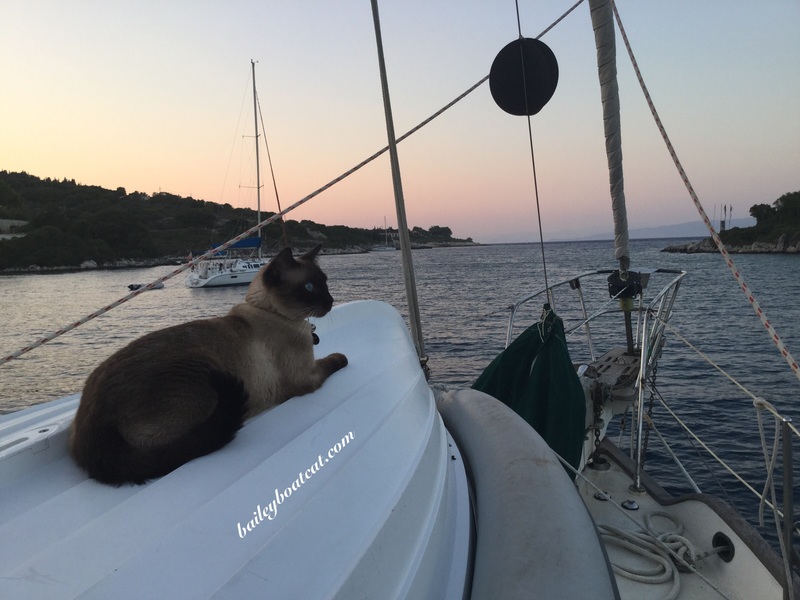 Thank heavens your human knows the boat so very well! Slime bugs sound delicious! I wish I could come and eat them for you. We’ve never heard of diesel bug before. We sure hope all your bugs get sorted out, Bailey. I hope the fix to this problem is not too difficult! Bailey, Your dad is a wonder! Glad the two of you figured out the problem. I guess there’s no such thing as dry gas for diesel engines? It certainly helps with water build-up in gas engines. Hope you can debug the system soon.